A stress on learning the 3R’s is insufficient. Teaching children other sensibilities too by making their environment come alive. It could be strewing pictures about, taking them for walkabouts through museums, or introduce them to books with plenty of pictures of paintings, photographs etc. This was wise advice given to me by an artist when my daughter was a newborn. I treasure it especially since I recall the happiest moments in my childhood were to pore over books about museums, photos and browse through old issues of Post, LIFE, National Geographic, etc. But it is not merely about learning of older artists and schools of art or what constitutes great art. It is about imbuing children with a love for art, aesthetics and appreciating creativity. It is about giving them the confidence of exploring with colours and not necessarily being straitjacketed into certain academic disciplines. But try sourcing books for children, especially in the picture book category and it is nearly impossible! 2. Marta Altes I am an Artist (http://www.martaltes.com/I-am-an-Artist ) picture book is about a delightful young fellow who cannot stop creating. He is an artist “but I don’t think mum sees it”. There is sense of freedom with colour, allowing the child to express himself, all though the cleaning up promises to be a nightmare. 3. 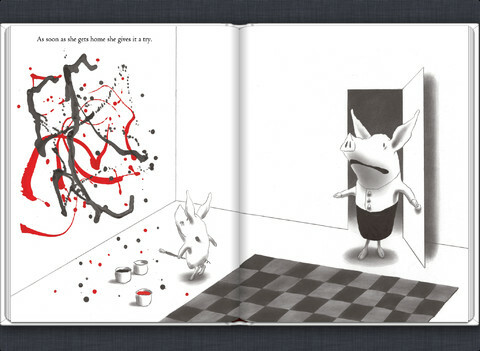 Sophie Benini Pietromarchi’s The Colour Book and The Book Book or even Herve Tullet’s fabulous books ( http://www.herve-tullet.com/en/boite-20/Biography.html ) also introduce children to experimentation with light, colours, different mediums …basically to let the creative juices flow. It is incredible to see how children respond. 4. 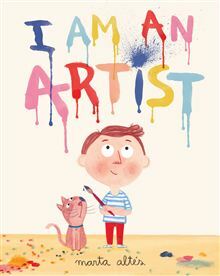 Scholastic India has launched a new series called “I am An Artist” with the inaugural title Raza’s Bindu. It is about the well-known painter, S. H. Raza’s signature style of painting only the bindu/dot. 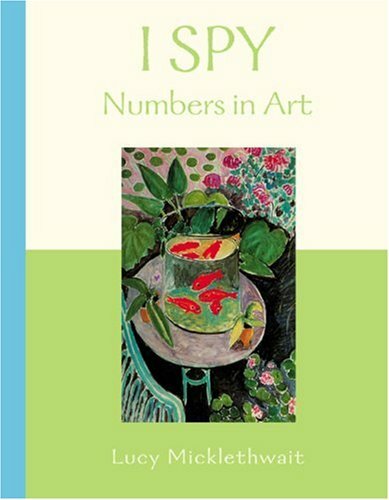 It is a fascinating book that is part-biography, part-explanation of the evolution of the artist with images from his paintings. 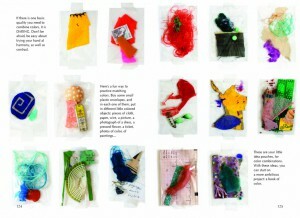 The book includes flaps that can be opened and explored by the 3-6-year-olds it is meant for. There are a couple of worksheets in it too. Tina Narang, Editor, Scholastic India wrote saying, “The ‘I am An Artist’ series seeks to make art and the artist accessible to children. The series has been launched with S.H. Raza’s Bindu. The books are meant to be participative in nature, so children can explore and experiment with their own creativity in relation to that of the artist. This book includes many interesting operations like gatefolds, and envelope folds to make it a fascinating journey for the child exploring the art of the artist.” The logo for the series is the first image on this blog post. Here is an interview with the painter from 2011 that explores his fascination with the dot. ( http://www.dnaindia.com/lifestyle/report-i-am-yet-to-tire-of-bindu-artist-sh-raza-1618538 ) . In fact he will be present at the book launch on 29 Nov 2014, Delhi. 5. Previously Tulika Books had launched a series called “Looking at Art” but only two artists were featured — Amrita Sher Gil and M. F. Husain. ( http://www.tulikabooks.com/our-books/non-fiction/looking-at-art/my-name-is-amrita-born-to-be-an-artist ) No more were added, a great pity. Tara Books specialises in creating illustrated books for children using traditional art such as Kalamkari, Gond, and Patachitra mural art, another way of familiarising young readers to different art forms. Now it seems another publishing house in India will be launching a series meant for children, introducing them to Indian Art/ Artists. 6. 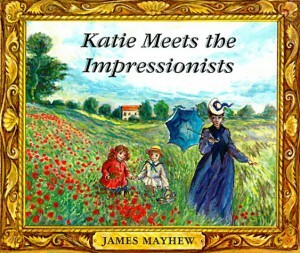 A couple of other picture book writers who have created marvellous “introductions” to art for young children are Anthony Browne ( Willy’s Pictures) and James Mayhew’s series with Katie, a little girl who visits museums and steps into great paintings ( http://www.jamesmayhew.co.uk/books/katie ). The joy of reading must also be accompanied by the pleasure of poring over illustrations, familiarising with colours and immersing oneself in the experience. For children everything in the world is new. To have text matching illustrations makes the little child’s face light up. If along the way they can be introduced to art and painters too, well, why not? !